And as the days get warmer and longer, I start longing for more time to wander... more time to roam. Of course my work brings me to beautiful locations. And this year I will be in the Berkshires for 2 weeks at Kripalu where I will be leading two retreats (weekend and 5-day formats) as well as presenting in the Narrative Medicine Conference. But I'm also carving out some true down time for myself as well including a long awaited family trip to Italy! Explore the space between stimulus and response, where you can leave behind your habitual solutions and cultivate a living relationship with the present moment. As you learn to relax into this space—the pause—and see life and yourself more clearly, you can flow forward with more clarity, wisdom, presence, and wholeheartedness. 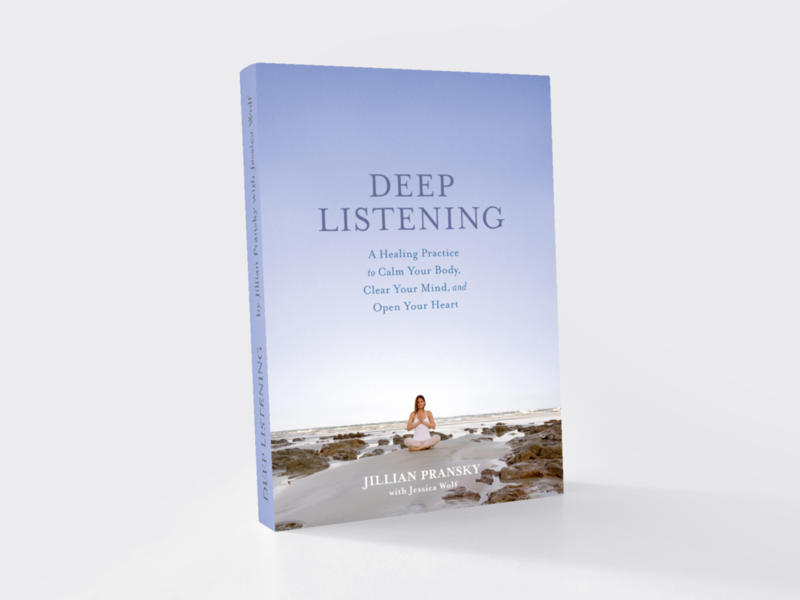 Come join Jillian to align with nature and savor winter’s gifts as you let go, and kindle your inner glow. In the cold months, the earth stops producing and replenishes its energy reserves. We, too, need to slow down, turn inward, and recharge. The most frequent question my students ask me on the last day of a retreat is, "How do I continue feeling this way, once I return home and re-enter 'real life'? How do I live this way?" It is true that practicing yoga on retreat can be an incredible respite and renewing experience; offering us time to slow down and break our cycle of habitual living. A retreat can help us regain perspective on our life. Help us to remember and reconnect to that which is most important to us. I have been leading an Autumn Weekend Retreat in the Berkshire Mountains since 2000. This retreat is one of my favorites! With out fail– in only a weekend – you will feel completely re-centered and re-connected with yourself. Year after year this trip is known to send you home – no matter how you arrived- with a deep sense of renewal, gratitude, and inspiration. I can’t wait to share it with you again this year! I have been leading an annual Summer Weekend and Mid-Week Retreat at Kripalu since 2005. Offered in the beauty of Kripalu’s natural environment, these retreats are known for their exquisite combination of yoga, meditation, and time in nature. Year after year students express – that no matter how they arrived- they leave with a deep sense of renewal, healing, gratitude, and inspiration. Enjoy an incredible re-entry after completing rejuvenating yourself on my Deep Retreat: The Elements and The Equinox in Costa Rica's Blue Zone. I am excited to be returning to Costa Rica's Blue Zone this year with Pravassa Wellness Travel. Last year was truly one of my most remarkable retreats and as a testament, we have only a few spots left open now. Come join me to align with nature and savor winter’s gifts as you slow down, let go, and kindle your inner glow. In the cold months, the earth stops producing and replenishes its energy reserves. Like the earth, we need to slow down, turn inward, and recharge instead of depleting our energy. This weekend retreat will guide you through an artful flow of slow vinyasa yoga, restorative yoga, and deep relaxation to help you harmonize with the season. We will emphasize internal observation, slow and dynamic movement, rhythmic breathing, and fully supported rest. This coming spring, in the spirit of transformation, I'm changing things up. I'll be traveling to Costa Rica's pristine beaches, endless ocean and expansive lush forests to host my Spring Equinox retreat at Blue Spirit Retreat Center with Pravassa. This paradise is guaranteed to dissolve every tension and restore your energy, fluidity, and joy. Envision yourself practicing yoga everyday, away from daily responsibilities and routines--it has the power to create creates incredible shifts! You'll be steps away from the beautiful beaches, amidst fresh jungle air, and you'll be fed delicious organic meals. This retreat will have you feeling completely renewed. Whether for a few hours, a day, or a week, the turn of seasons is an essential time to slow down for some sort of Retreat. Retreat literally means to withdraw or step back. Taking this time helps you break the cycle of habitual living and creates an environment for us to regain perspective on our life - to revive our energy, and reconnect to that which is most important to us. We see, hear and feel more clearly after a retreat. We can retreat any time, really. For an instant retreat at work, enjoy a slow walk around the block and enjoy the sights, smells, movement of your body, and air moving in and out of your lungs.